The following is a condensation of a report of an incident in the raid given in ‘The Hull Times’ on April 5th : ” One of the persons killed was the Deputy Medical Officer of the City, Dr David Diamond, he had just finished a successful campaign asking for blood donors, which resulted in many wanting to do so, for the benefit of people injured in air raids. 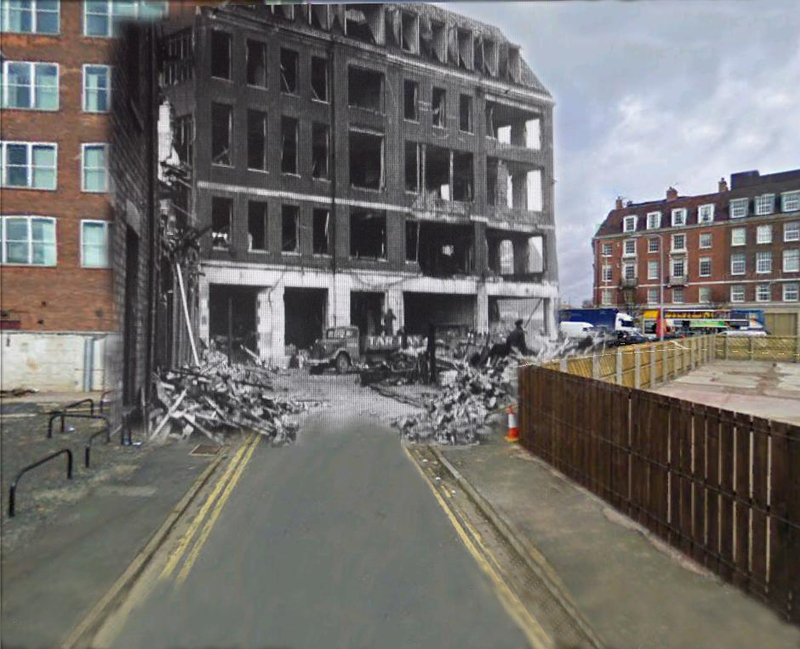 Dr Diamond was in the basement of an ARP post, talking to a councillor and a Dr Wheatley, who had just arrived in Hull to take over as Casualty Officer, when it was demolished by a direct hit. When the bomb exploded Dr Diamond took the full blast and was killed instantly, two soldiers in an adjacent car park and PC Robert Garton who was on duty at the door of the ARP post were killed and no trace of the policeman was ever found”. The ‘bomb’ was in fact a landmine – still forbidden to be mentioned as such It is presumed that the building was the ARP HQ in the Shell Mex building at the corner of Ferensway and Spring Bank.